Will NAFTA be canceled before the new USMCA is implemented? President Trump left the G20 Summit in Buenos Aires with some big stuff. A new China trade truce, the signing of USMCA, and a comment to cancel the old NAFTA ahead of the new pact. One of the biggest moves in the dinner discussion between President Trump and President Xi Jinping was Trump’s removal of his threatened tariff jumps on January 1, 2019. List 3 of Section 301 Chinese imports were due to increase from 10% additional duty to 25% additional duty on January 1, 2019. The 25% tariffs are now postponed until March 1, 2019. The 10% tariffs remain in place. To read more about the U.S. – China Trade Truce, click here. 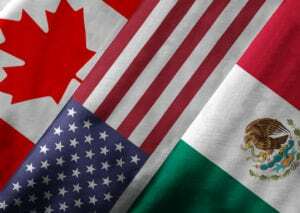 The United States-Mexico-Canada Agreement (USMCA) was signed by officials on the sidelines of the G20 Summit on November 30, 2018, one day before Andrés Manuel López Obrador took office as Mexico’s new president. If the agreement had not been signed before the end of November 30th, AMLO was said to open up new chapters and more discussions. After so many months of making headway, the current leaders wanted to push forward with a new and modern agreement. To read more about USMCA, click here. According to NPR News, “On Air Force One returning from Buenos Aires, the president also told reporters he would move to cancel NAFTA, the trade agreement with Mexico and Canada. Trump and the leaders of those countries signed an updated trade deal, the U.S.-Mexico-Canada Agreement, or USMCA, at the G-20. USMCA requires congressional approval to take effect, and getting it through Congress could be a challenge. Trump framed canceling NAFTA as a way to force legislators’ hands. ‘Congress will have a choice of the USMCA or pre-NAFTA,’ he said. To read more on NAFTA Cancellation, check out the NY Times.